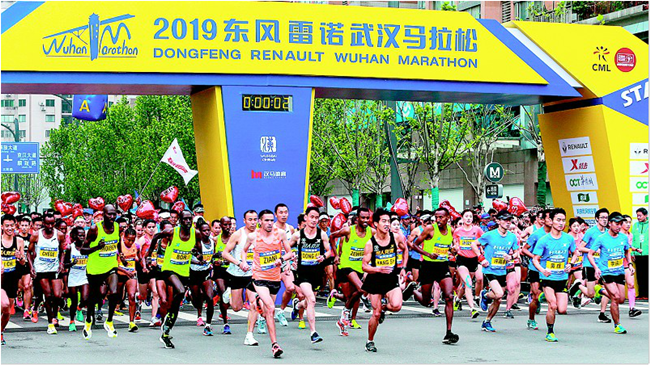 On April 14, the 4th Wuhan Marathon triggered. It attracted more than 155,000 people to register and 24,000 runners from home and abroad were finalized for this event. Same with last three editions, this year’s consists of three events: marathon (42.195 km), half marathon (21.0975 km) and health run (13 km). The marathon started at 7:30 a.m. from the intersection of Sanyang Road and Zhonghsan Boulevard in Hankow. Andrew Ben Kimtai from Kenya and Fantu Eticha Jimma from Ethiopia won the men's and women's full marathon championships, respectively.